but in your first post it does say that you used the wheels and tyres? yea... those first wheels WERE flywheels... the wire ones. these aren't. so are the wire ones just for show or do they acctually work? 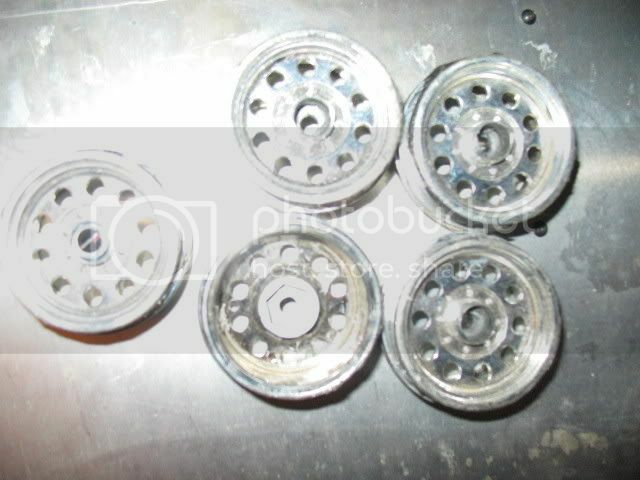 this is probably a stupid question but how do you mount the fly wheels? a little write up would be perfect? There's a couple tutorials around here on Fly Wheels. Be advised that they're a couple years old so the pics are probably dead. Get rid of the white hoolie on the back, drill a hole, and mount up a 12mm hex that you cut off some other wheel. Takes a bit of work. They're not a very good fit for 1.9's but it can be done.